This weekend I had the pleasure of working with Rudy, Beethoven and Chris on leasing my second vehicle from Jeep 24. I am over the moon with my 2019 Ram 1500 Longhorn. They delivered 5-star service and made the experience seamless. It's always great walking in and seeing friendly and familiar faces - plus the dealership is spotless inside and out! The Sales Team will put their best foot forward making sure the clientele is happy. I will only shop at Jeep 24! After a lot of research and a lot of wasted time at several other Jeep dealerships, I somehow ended up at CJDR 24 on a rainy Saturday afternoon with no real intention of purchasing. I was there strictly for information and fully expected to leave disappointed. However, I met Travis, who so effortlessly facilitated the process, that I soon found myself ringing the bell in celebration of my new Jeep Wrangler lease! Travis has been more than attentive and has delivered on every promise made. He was honest about what I could and couldn't get, never promised something only to disappoint, and truly went above and beyond in communicating with me. A rare find in the world of car sales. I was a little nervous about buying a vehicle but Travis made the overall process a lot better. His humor and way of doing things helped everything flow nicely and make it a good memorable experience. We were in the market for a new Ram 1500. Our initial contact was with Kat who introduced Travis Zeigler to assist in our quest for the perfect model and options. He was extremely patient and professional throughout our purchase experience. We feel that we received the best deal from Jeep Dodge Ram 24 and their "on site" inventory was substantial; with plenty of choices to suit our needs. I would highly recommend this dealership if you are looking for a Dodge Jeep or Ram. And, I would send friends and family directly to Travis. He was not "high pressure" and was genuinely there to help match us up with the perfect truck for our needs. Manager Corey Hines was also helpful with negotiating us the best price, and finance manager Jeffrey Theodat shopped around to get us the best financing rate possible. Good people, Good prices, Good trucks. Go there for your new vehicle, you won't regret it. Travis Ziegler was a great sales consultar. I would recommend him to an anyone who is looking to purchase a new or used vehicle. 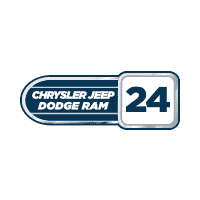 At CJDR 24, we’ve been the South Shore’s premier Chrysler, Jeep, Dodge, and Ram dealership for well over four decades. We have a single, driving goal here, and that’s to provide the absolute best South Shore auto sales and service experience possible with zero stress and absolute satisfaction.